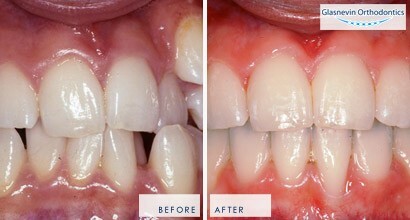 This patient did not like the severe crowding of her teeth. 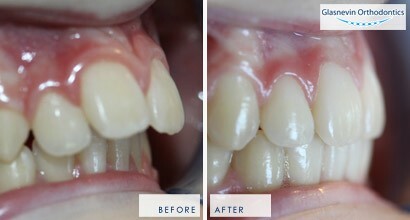 The upper central incisors were set back and there was a deep bite. After braces the teeth were straight and the lower teeth were more visible as her deep bite was corrected. 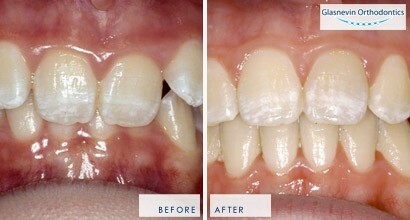 The patient did not like the way his upper teeth were protruding ahead of his lower teeth. 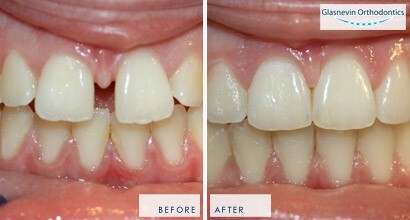 His upper teeth were aligned and moved back into a natural position. The upper right front tooth was stuck behind the other teeth. All the teeth including this one were straightened. 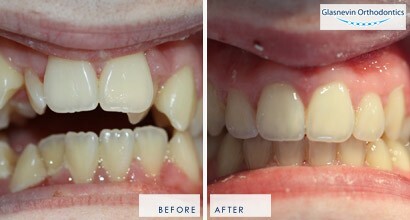 This patient did not like his severe crowding and the large gap between his top and bottom teeth. 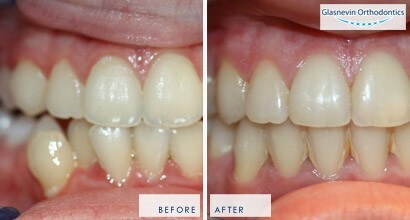 The patient did not like his protruding upper and lower teeth. We aligned the teeth and made them less prominent. This patient had lower crowding and her canine was very prominent. 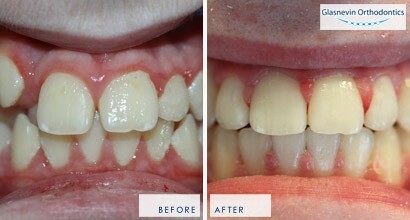 This patient was concerned about the large gap between the front teeth. 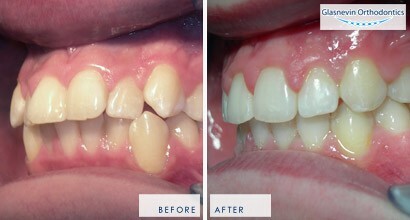 She was treated with fixed braces and has a bonded retainer behind her teeth.